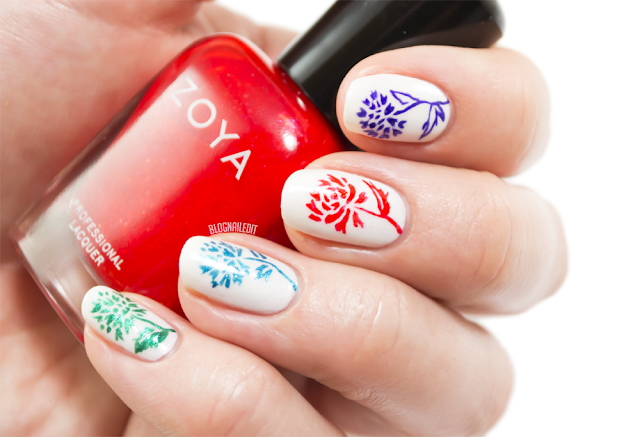 This summer, Zoya has two new collections that marry beautifully with one another. Island Fun and Paradise Sun each have 6 colors that boast bold brightness. Island Fun is all about the creme, while Paradise Sun is full of metallics, and that's what we'll see today! What's interesting about Paradise Sun is that it has a white metallic, which worked perfectly for this floral nail art, inspired by a pin I quickly grew to adore. I like simple backgrounds to the patterns I choose, so to be able to incorporate only colors from this collection was exciting! The little flowers were painstakingly done with a tiny little brush and patience. I couldn't decide between the colors, so I wound up using all but one in the collection. Let's see these on their own, starting with the wonderful white, Genesis. Genesis (2 coats) is a pearly metallic white. It's not a cheesy, streaky formula either; it covers nicely and works well as a summer neutral. Aphroite (2 coats) is a neon red jelly with medium flecks of iridescence. It's unbelievably bright! Truly a sunny shade! Isa (2 coats) is a royal purple metallic blue flecks throughout. It's also almost a neon. Oceane (2 coats) is the collection's aqua teal metallic - like the ocean in THE paradise, the Bahamas! Selene (2 coats) looks greener in my swatch photo, but it truly is more of a teal/turquoise metallic. Mae (2 coats) is a bright pink metallic, and the only one I didn't use in the nail art. It's too pretty on its own. Stay tuned later this week for Island Fun, which promises some great cremes...my favorite! 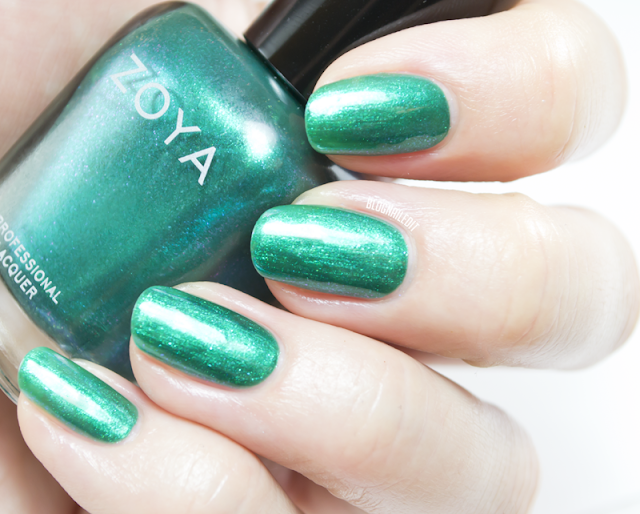 Pick up Paradise Sun wherever you can buy Zoya, or visit the online store here to get it. Such tiny little flower petals. That's a lot of patience and a very steady hand. Amazing!You are a true artist! 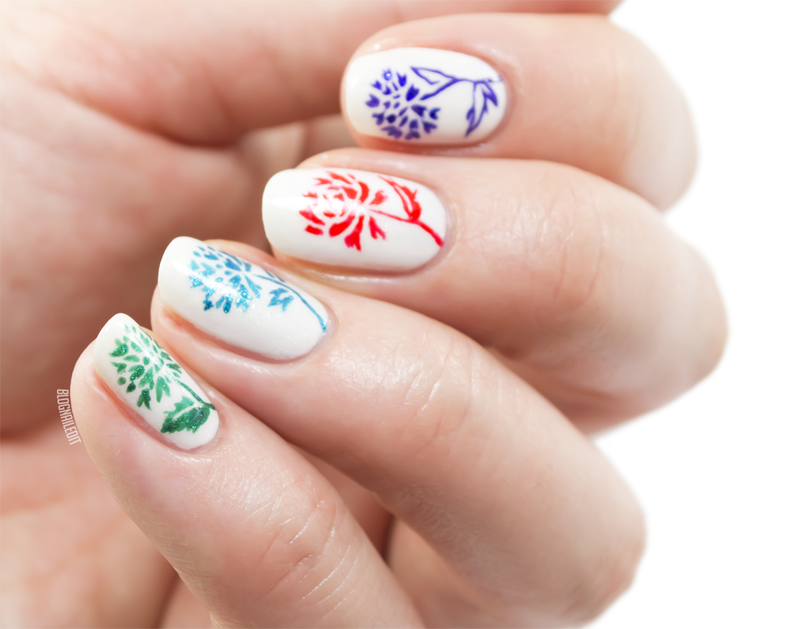 Those freehand flowers are amazing!